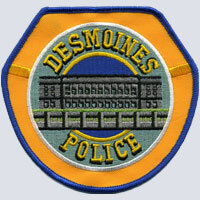 A business owner in Des Moines shot and killed a burglary suspect this morning. For now, police are not saying if the burglar was armed. According to Parizek, it’s unlikely charges will be filed as it appears this case falls under Iowa’s new “Stand Your Ground” law. “At first blush, it certainly looks like this is the type of incident where this law would have a legitimate application,” Parizek said. The store owner was not hurt in the confrontation with the burglar. “He was not injured, but he was taken to the hospital for treatment of a pre-existing medical condition that was kind of aggravated by the stress,” Parizek said. “It was definitely a scary situation for him.” More information about the case is expected to be released at 4 p.m. today. “The vehicle the suspect was using was stolen from another state and it certainly looks like the suspect himself might be from out of state,” Parizek said.